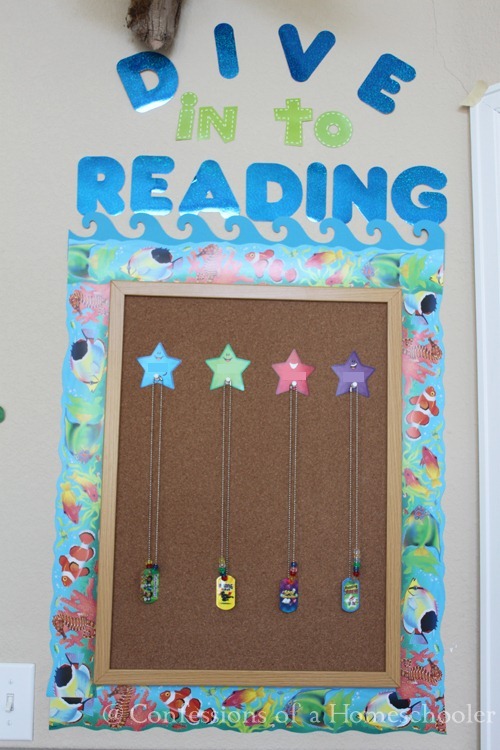 I found this super cute idea to help with motivating students to read more on the Teacher Wife’s blog which lead me down a bunny trail of great ideas to help motivate students to read! 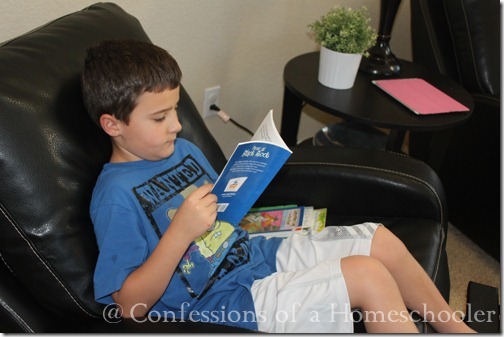 I know homeschoolers are supposed to be book worms, but my kiddos aren’t always that interested in reading outside of class time. 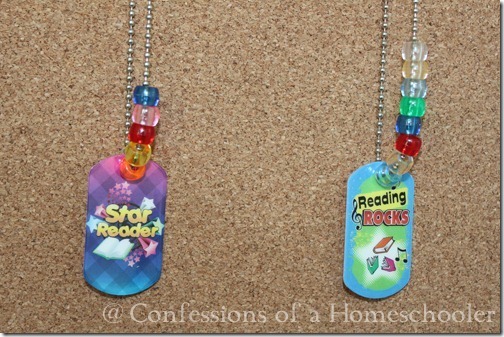 But with these cute reading incentive brag tags and some cheap beads…problem solved at the Confessions home! 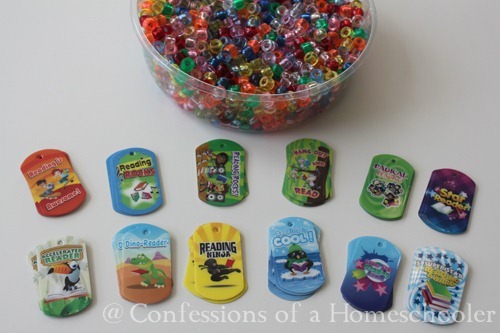 I immediately visited ImageStuff and ordered a variety of reading incentive brag tags! (Select “reading” from the drop down menu.) I set up our bulletin board right away, and shared all of our new exciting reading rewards with the kiddos! By the way, I emailed them and they’re working on a more homeschooling friendly packet of tags! Yipee!! And don’t tell anyone, but I’m pretty sure we’ll be doing a giveaway for these later on too! For every 20 minutes of reading time, my children earn 1 bead. For every 10 beads they earn, then can exchange them in for 1 cool Reading Incentive Brag Tag! Of course you can set up your own reading times based on the ages/grade levels of our kiddos. Here is our whole bulletin board set up. I already had this smaller 2×3 wooden framed cork board. Then I just added some cute Tropical Fish bulletin borders and letters to make it more fun. You can see the whole list of supplies below. To organize all of my cute little tags I found this storage case from my local Michael’s hobby store. 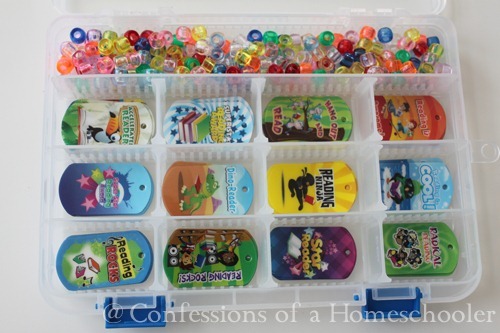 It had the exact right sized sections, along with enough spots for all of my tags and some beads too! Here are our beads up close, you can see that they are earning beads as well as a couple of them have earned tags too! Since the Teeny Tot is too small to read herself, the older kids can earn a bead if they are found reading a story to her. I also give her a bead if she sits down and looks through picture books on her own. She usually makes up stories to go with the pictures, and it’s really cute, so I just couldn’t say no! 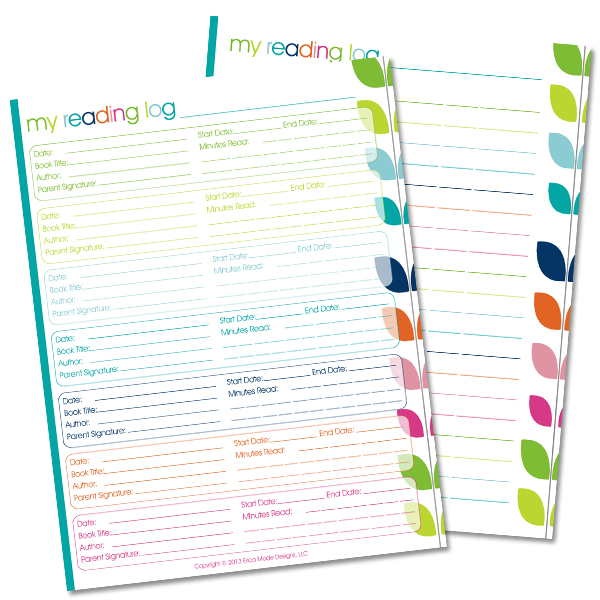 Just to make it a little easier to keep track of, they each track their reading outside of school time with these cute reading logs! Hope you enjoy our reading incentive board. 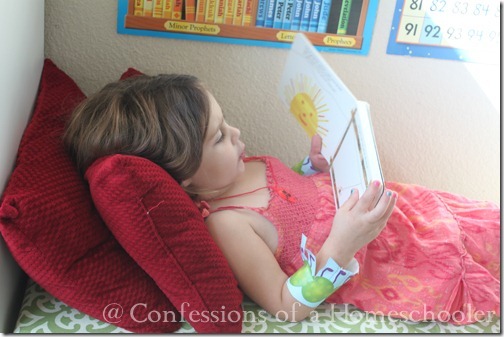 If you have other fun reading incentive ideas, make sure to comment below to share your ideas with others! What a fun idea! And for the crafty types out there…I bet you could make your own tags with those shrinky-dinks. Oh…and how about if they accumulate x-number of tags they get a prize?! 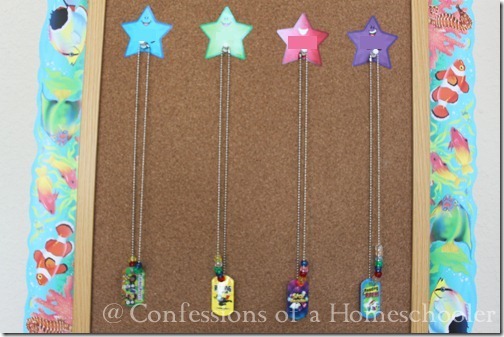 Oh my goodness, Shrinky dinks are a fantastic idea!! They will go for that the most! Thanks so much. Erica, as always, another fantastic idea!! 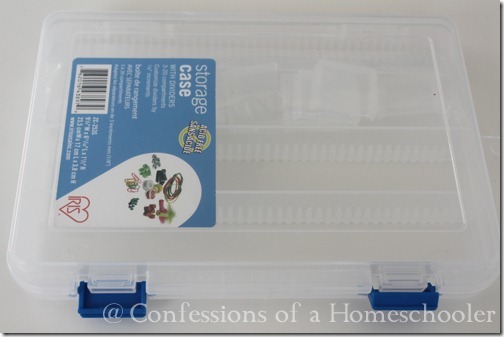 We’re those homeschoolers who love to read, but it is always nice to make something that is so routine more fun. I thought this was a GREAT idea, so I went on the website to order. The shipping was twice as much as what I was ordering! Do you know of any free (or reduced) shipping codes? Hi Amy, not right now, I’m working with the company to get a homeschooling package set up that would work better. Right now they mostly cater to school disctricts that are ordering a LOT of the tags. Thanks! It is a great idea. I will do the same! 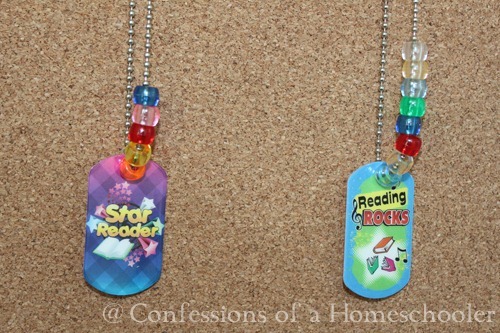 One more thing I may do is to give them double beads if they read books in Spanish, or biographies, science books, etc. My kids love fiction but they are in the age they need to read other types of books too. Love this idea, is so colourful. Can i ask you? That means you needs to have a lot of tags for them to exchange? Thank you, thank you, thank you! 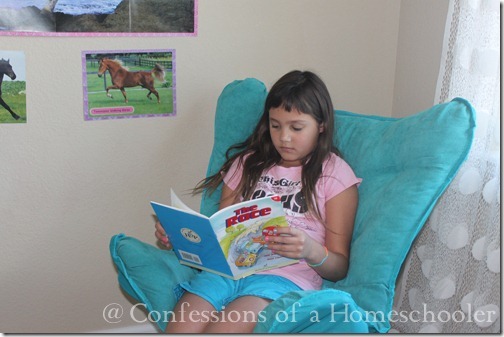 I have been wanting to have a reading incentive program in our homeschool. You did all the work! I just ordered my tags and plan to get started, right away. I am sure my children will love this. Thank you for taking time to share what you do in your school and for making so many things available to help others. What a blessing you are. May you receive blessings to overflowing for all that you do. Here is a suggestion. College old radio shows and let them listen to an old radio show as a reward. Here is a suggestion. Collect old radio shows and let them listen to an old radio show as a reward.